Anyone who wants to work as a truck driver in Louisiana must receive a commercial driver’s license. Obtaining a CDL is relatively easy. Applicants will have to obtain a Department of Transportation (DOT) medical certificate and a valid driver’s license. Applicants must be at least 18 years old to apply for a CDL, and 21 years old to drive interstate. All applicants are required to first take a General Knowledge Test. There will be additional tests for air brakes, Class A combination vehicles, tankers, doubles/triples, hazardous materials, or passenger transport. Applicants who pass the written exam will receive a CDL Learner’s Permit, which is valid for up to 60 days. If an applicant needs more practice time with a licensed driver, he or she can request for an extension. Applicants who fail to take obtain a CDL within 6 months after receiving their Learner’s Permit must start over from the beginning. The driving portion is the last test in obtaining a CDL. The applicants will a given a three-part skills test that consists of pre-trip inspection, on-road driving, and basic controls. This test is administered by a Third Party Tester site; they will present the test results in a sealed envelope to the Driver License office. 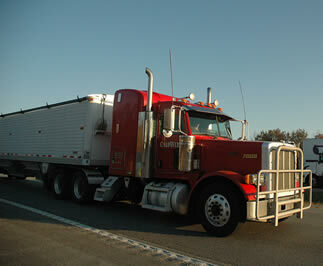 A CDL in Louisiana is valid for up to four (4) years. The state does not offer a grace period expiration and considers driving without a valid license to be a serious crime. Driving with an expired license may jeopardize your career in the truck driving industry. Diesel Driving Academy has been training and placing both men and women in exciting, high paying jobs in this industry since its establishment in 1972. Today, Diesel Driving Academy is one of the leading CDL training schools in the states of Louisiana, Arkansas, Georgia, and Texas. You can use our contact form if you would like to send in a truck driving school that is not shown on the list above. Submissions must be complete and include the name, address, and phone contact details in order to be accepted. 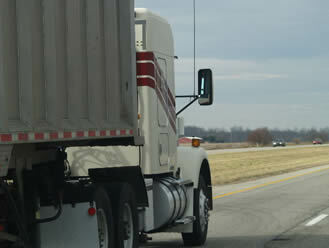 For those who want to acquire a Louisiana CDL, you will have to know what the requirements are first before you apply. They include taking several exams as well as being physically fit to handle the job. You will be able to prepare for the whole process by reading the Louisiana CDL Manual first before applying for any of the said tests. Aside from this, you also need to have a clean driving background and even a criminal background especially if you are planning to have a Hazardous Materials endorsement on your license. The state and federal regulations today now requires truck drivers to only have one license. It means that if are planning to transfer your place of residence to the state of Louisiana, you cannot apply for a new one in this state. You will need to surrender your current license and apply for reciprocity in order to get a valid license here. Aside from this, you also have to be at least 18 or 21 years old in order to apply for the license. If you are 18 years old, you will be allowed to drive trucks only inside the state, whereas if you are already 21 years old and above, you can have an interstate permit. To apply for the license, you will have to pass a DOT medical certification as well as a visual exam. You can request for this form at your local OMV or they can be available from a DOT certified physician. You also need to undergo a visual exam and to have at least a 20/40 visual acuity. You can apply for the license even if you need to wear corrective lenses or if you have a particular medical condition. The certification as well as other documents such as your current driver’s license, social security card and other valid IDs will be required in order to apply for the written exam. Together with the said documents, you will also need to pay for the exam fees. You will then be given a general exam about truck driving skills and road signs as well as other exams if you are seeking an endorsement for your license. Available endorsements in the state of Louisiana are for Doubles/Triples, Tank, Hazardous Materials, Tank, and Passenger. You have to pass the exam successfully in order to acquire the temporary permit that will let you practice driving a truck as long as you are with a licensed individual. Before the permit expires, you should have already applied for a road test where you will be tested on various driving skills and knowledge in an actual setting. It includes a pre-trip inspection, basic driving skills, and driving in actual traffic conditions in order to determine your fitness for a Louisiana CDL. You can apply for the road test by visiting your local OMV office and paying the corresponding fees. When you get the license, it will be valid for a fee years and you will need to renew it regularly. If you need further assistance learning the skills required to pass the exams you can visit this page for the latest truck driving schools in LA. Below is the information regarding the DMV.